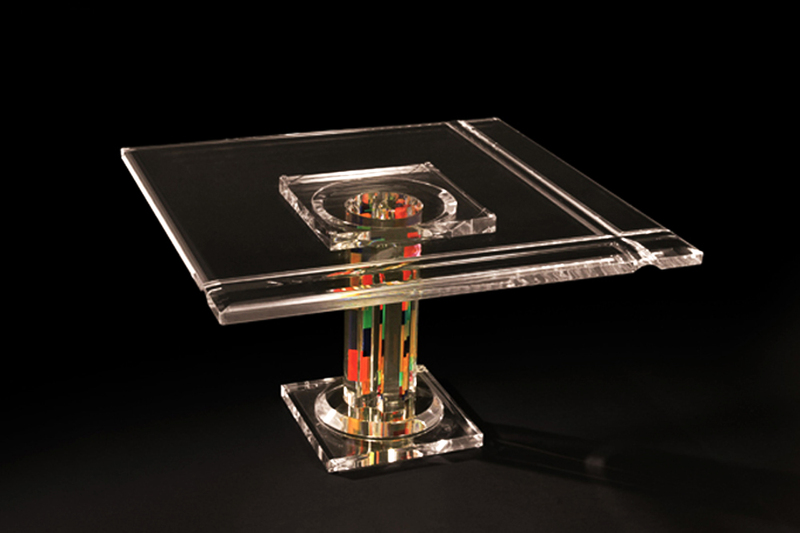 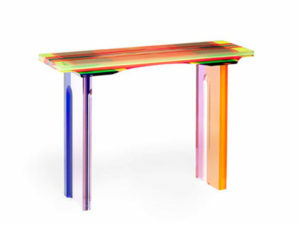 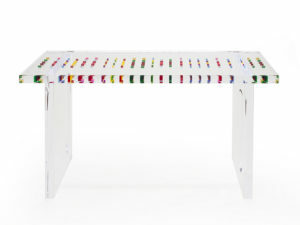 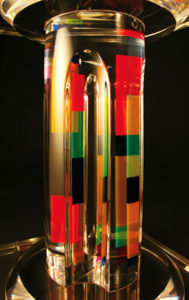 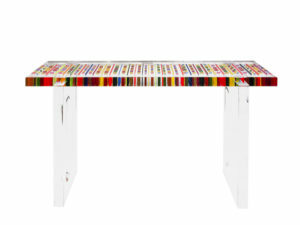 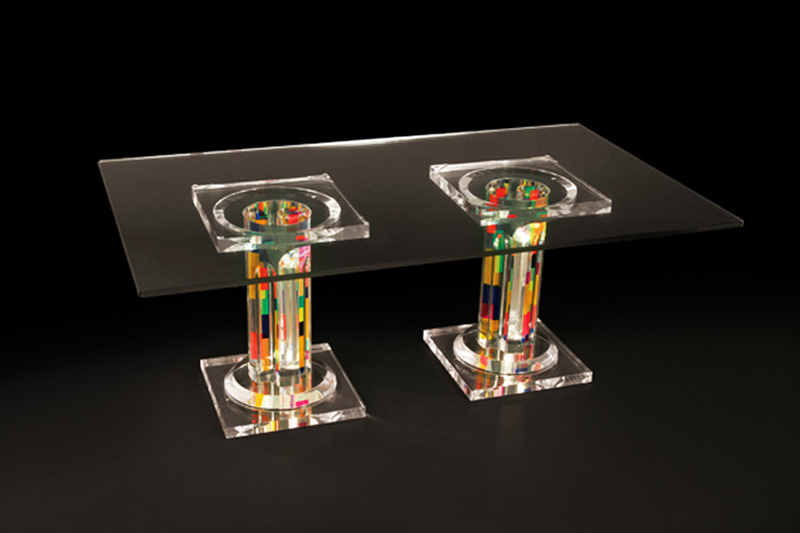 The plexiglass coffee table ‘Columna de la Cruz’ has one or two columns made of transparent plexiglas blocks with colored plexiglass pieces inside. The result is a general effect of lightness. 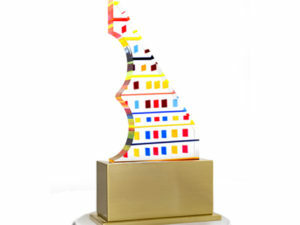 The whole structure gets projected upward with a feeling that could we can define as post-Gothic. The tables in photo measure cm 80x80h45 and cm 120x120h45, but can be customized. The top can be plexiglass or glass.